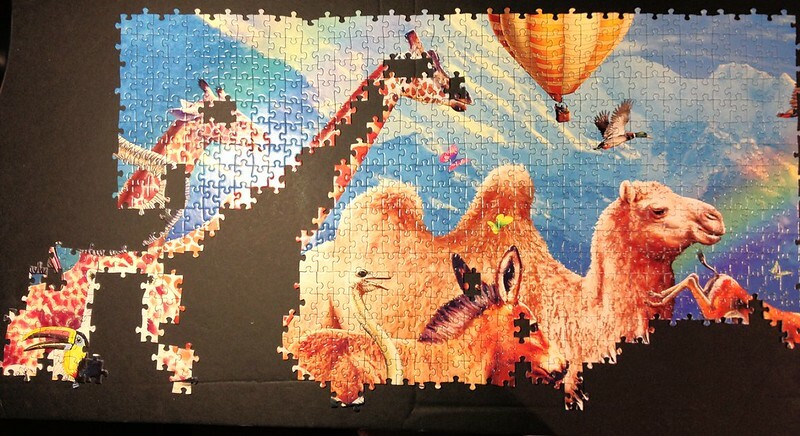 Last night I ended up working until nearly 1am and only puzzled for two hours so I did not get a lot done. I started on the camel and ended up getting in around 250 pieces including the camel, donkey, back half of the horse, goat and most of the middle giraffe. It was really fun puzzling, and this section is wrapping up nicely! Life is a really great puzzle. It is not hard but offers a good challenge and you don't get bored with it because there is so many different things to do. 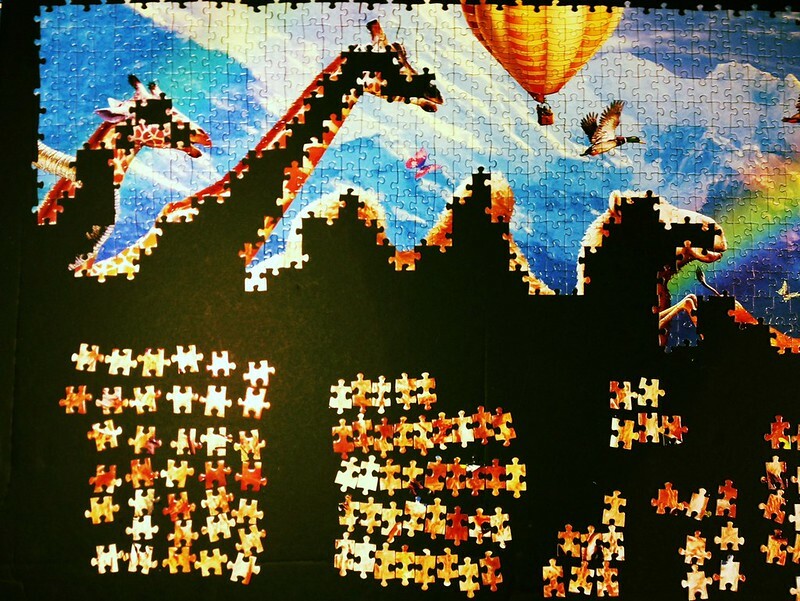 Its immense size means you don't see all of the detail until you assemble the puzzle and there are plenty of surprises on pieces. It's difficulty comes in the shear volume of pieces to assemble so that also keeps it interesting for the serious puzzler. It was interesting to take a before and after photo because I had a time stamp on the two events. I can see that I managed to place a little over two pieces a minute. It seems my puzzling rate for large puzzles format puzzles seems to be around 100 pieces an hour. At that rate it will take about 10,000 hours to assemble the big boy list. According to the 10,000-hour-rule that should make us experts! It's time to start building some animals. I like to disconnect the section I am working on and place it on board so I can build the puzzle in the correct orientation and not have to be contorted while putting it together! .... 2 hours later. Time for bed.